Explanation: Did you see the big, bright, beautiful Full Moon last Wednesday night? That was actually a Micro Moon! On that night, the smallest Full Moon of 2014 reached its full phase only a few hours from lunar apogee, the time of its the most distant point from Earth in the Moon's elliptical orbit. 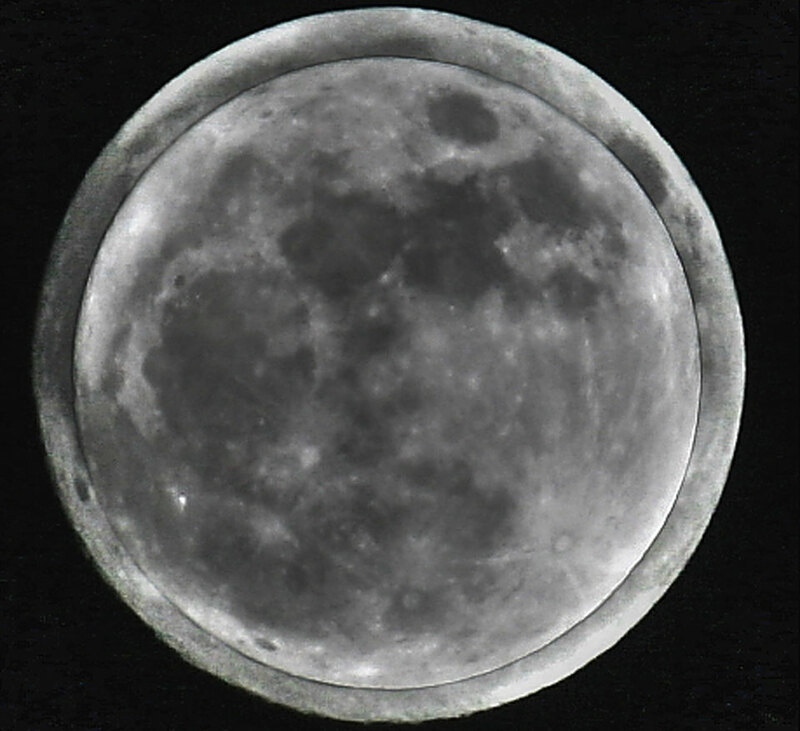 Of course, last year on the night of June 22, a Full Super Moon was near perigee, the closest point in its orbit. 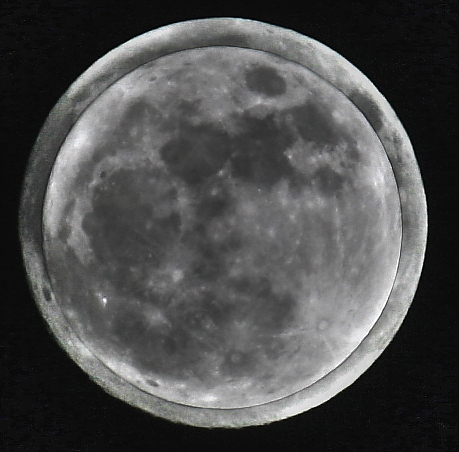 The relative apparent size of January 15's Micro Moon is compared to the June 22 Super Moon in the above composite image digitally superimposing telescopic images from Perugia, Italy. The difference in apparent size represents a difference in distance of just under 50,000 kilometres between apogee and perigee, given the Moon's average distance of about 385,000 kilometres. How long do you have to wait to see another Full Micro Moon? Until March 5, 2015, when the lunar full phase will again occur within a few hours of lunar apogee.